Box office is basically sports for movies at its core. And while the world is waiting for Earth’s Mightiest Heroes to dominate both the charts and the courts, the other contenders must be looking up, enviously, wondering “why not me?” Well I can’t give everyone a championship victory, but I can and did find parallels for everyone to help explain why nobody will be touching the Avengers or Warriors. There is always hope though, a fool’s hope perhaps, but nothing is set in stone. Nobody would have believed Black Panther capable of winning a box office crown yet we all watched it happen anyways. Could another cat-titled pick pull the upset? This was the easiest parallel obviously. Both of them are absolutely packed with starpower and seem unbeatable on the surface. Both already had great teams last year before adding even more pieces this year with Carol Danvers and DeMarcus Cousins. Really the only thing keeping either of them from winning the crown, again, is having too much of a good thing. Golden State has five huge personalities, some of whom seem to already have their bags packed for other destinations. It is widely rumored that this will be the last dance for Robert Downey Jr, Chris Evans and Kevin Durant. And while team combustion won’t be a problem for The Avengers, we don’t know if audiences will be able to handle multiple viewings of a 3 hour film. This is just nitpicking though. 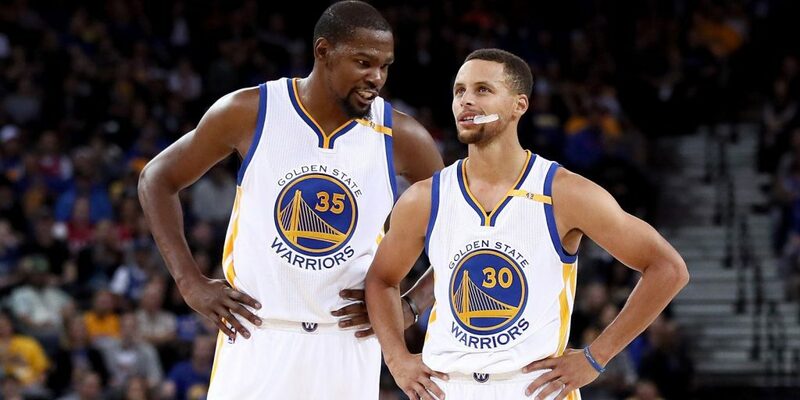 It is highly likely that both The Avengers and The Warriors win their respective titles this summer. James Harden and the Rockets are looking to spoil the Warriors dynasty just as the trailers for Spider-Man were looking to spoil Endgame. Rather than an ensemble of exciting players at every position, both have built around having one really good hero carrying a quirky but effective supporting cast. And while Spidey had some major help last time in the form of Robert Downey Jr., we can probably assume he will not be back for this one, just as we can probably assume that Chris Paul will get injured. Can Spider-Harden overcome and defeat the gold standard of the industry? They will need to play their best games while the Avengeriors play their worst, but there’s always a chance. A hard hitting old school style. Denver is the only team who relies on a big man to create their offense, just as John Wick is the only action hero who relies on guns. Neither has a realistic chance of taking the crown, mostly likely finishing outside the top 4 as well, but we will all appreciate the effort they put into it. Nikola Jokic was selected 41st overall in his draft while the original John Wick only made $43M, undersetting expectations for the rest of their runs. Despite what the experts say, Jokic and Wick are not afraid of the competition. They have the confidence that they can defeat any other basketball or any other secret assassin. We have an old reliable franchise with a new face in the lead role. Though The Rock certainly brings more to the table than DeMar Derozan. Statham and Aldridge in the supporting roles line up pretty nicely. Aldridge was fine as a leading man in Portland, but it wasn’t really going anywhere. Statham was getting his movies released in theaters, but they weren’t grossing over $20M. Both of these teams had messy break ups with their former stars, Tyrese is especially sore that they are making a Fast movie without him. While nobody expects Hobbs & Shaw to compete with The Avengers, the franchise has won a season before, and I don’t think it would be that surprising if it went further than the most optimistic of predictions. Same with the Spurs, who wind up in the Western Conference Finals all the time before you even realize what is happening. Both of these franchises are entering the season without their best players, Will Smith and Victor Oladipo. They may have a serviceable foreigner as a replacement, but he is just never gonna put up the same kind of numbers. Chris Hemsworth does have a history of opening movies high though, not just with Thor but as a big part of the Ghostbusters marketing campaign. Likewise, Bojan Bogdonavic torched the Cavaliers last year and nearly took out LeBron in the first round. The true shame here is what could have been. The Pacers were on pace for the #3 seed which would have led to a much easier series with Brooklyn. And this movie was originally going to be a crossover between Men In Black and 21 Jump Street, which would have been awesome and a likely $200M grosser. Alas, we get what we get, and neither will make much of a dent. Portland surprised everyone by grabbing the #3 seed in the West in back to back years. Not an easy task to accomplish. Much like how 2014 Godzilla had the hottest trailers and came into its opening weekend tons of fire. Both of these teams burned out very quickly though. The Blazers were swept in the first round and Godzilla collapsed so hard that it barely doubled its opening. Now they are back, promising their fans that things will be different this time. They both added a three-headed villian to up the stakes of their stories, and who can say whether King Ghidorah or Russell Westbrook is more volatile. I think the people are right to doubt them though. It is difficult to see Portland winning and it is difficult to see Godzilla having a mighty run though (this is his second time fighting Ghidorah this year, after Netflix’s Godzilla: The Planet Eater). The competition is just too stiff. Here we have two superstars, LeoPitt and RussGeorge, a potential game-changer in the supporting cast with Margot Robbie and Steven Adams, a huge ceiling and a low floor. The Thunder were flying through the regular season, mostly thanks to changing their team dynamic and having Paul George lead the offense rather than Russell Westbrook. And before the trailer, Hollywood looked like a massive hit on paper, Tarantino has had huge success with these two before. Then Paul George got hurt and the trailer seemed to have no interest in selling the most appealing part of the movie: the Manson and Tate saga. It’d be like seeing an Inglorious Basterds trailer without hearing Brad Pitt yelling about Nazi Scalps. Expectations have been tempered, and maybe that is a good thing. Both could still do some damage, and I believe they will, but it will be more satisfying as underdogs. Much like Seth Rogen’s relationship with Charlize Theron, the Orlando Magic are just happy to be here. The Magic have not made the playoffs since they traded Dwight Howard before the 2012 season, and severely hampered themselves by trading future-star Victor Oladipo for pretty much nothing. Seth Rogen has not had a hit in quite awhile either. He was coming off a few hot years that involved breakout hits Neighbors and This Is The End, making it seem like he was firmly in place as America’s favorite comedy actor. His next big movie, The Interview, caused a huge international incident that resulted in it getting banned from most theaters. Then Neighbors failed to gross even half of the first one. Then his very public best friend James Franco was faced with sexual harassment allegations, causing Rogen to be Me-Too’d-By-Association. Both of these teams need a hit, and they kind of already achieved it just by being here. A once-in-a-lifetime star finds his way into a magical world, or rather busts out of his cage and makes the world magical on their own. Everyone has loved watching Giannas Antetokounmpo for years, knowing that his ridiculous athleticism could one day lead him to the promised land. One could compare his early years to The Fresh Prince of Bel Air, we knew something was right but it had to be properly channelled. Unfortunately, Jason Kidd was not the right coach to do this. His version of the Bucks were as well received as Disney’s first trailer for Aladdin, it looked like we were heading for a tragic disasterpiece. Cue Mike Budenholzer, as well as a new approach to the marketing, and suddenly we have a contender on our hands. The Bucks have not won the NBA title since 1971, when they had Oscar Robertson and Lew Alcindor (before he even changed his name to Kareem Abdul Jabbar) on their team, so this position as the top seed really is a whole new world for them. But even with everything these two have going for them, the competition will almost definitely take them out. Aladdin is unlikely to even make it out of the Disney-remake bracket to get a chance to the challenge The Avengers. Neither of these franchises are new to the game, Pokemon had a massive debut weekend for Mewtwo Strikes Back as far back as 1999, and the 55 subsequent movies have all performed well in Japan. Likewise, Toronto has walked into the playoffs as one of the top seeds for the last few years. This time there is a new King In the North named Kawhi Leonard, who has this thing called the NBA Finals MVP under his belt. Ryan Reynolds is his movie counterpart, with his surprise hit Deadpool in 2016, though it actually fell a mere one million dollars short of winning a seasonal title (I always forget The Jungle Book existed). Both teams are loveable underdogs who are looking to shed the baggage that has plagued their recent efforts (in America), being tied to the anime and LeBron James respectively. The Clippers shouldn’t be here, they had every incentive not to be. Their older brother was supposed to be the one competing for the title. But here they are, prepared to host a party for a bunch of ingrates (LA would much prefer to see the Lakers in there). One could hardly blame them for being a little bit weird about it. Now we all just have to hope that Patrick Beverly is not going to run anybody over with a car. No one would ever expect Octavia Spencer to be in this position either. First as a haven for underage partiers, then getting a bit obsessive when that life seems to drifting away. Would Ma being killing these teenagers if they hadn’t insisted on her buying them beer in the first place? Would the Clippers ‘fans’ be disappointed in the season had they never make the playoffs? Both of these questions will be answered in a few weeks. My bet is that neither will make much of an impact though. You need superstars to win in the playoffs and you need supernatural elements to win in the genre of horror. Both of these are coming into the game with a ton of confidence that they might want to keep in check. Utah upset Oklahoma in the first-round last year, exceeding anyone’s expectations for their rebuild (their “best” player Gordon Hayward had left the previous offseason). Meanwhile the last biopic about a pop-rocker grossed a still-hard-to-believe 216 million dollars at the US box office and 900 million worldwide (how???????). Elton John is not Freddie Mercury though, and the Houston Rockets are not as susceptible to a first-round collapse as the Thunder were last year. As a matter of fact, they’d do best to remember losing quickly to the Rockets in the second round, and that Taron Egerton barely got Robin Hood over $30M. Prediction: $75M and a first-round loss to the Rockets. This is probably the end of an era for both of these respective franchises. Though the X-Men have a much easier out, Disney will just reboot them in a few years. The Detroit Pistons are saddled with terrible contracts, that at best lead them to getting whupped in the first-round of the playoffs. It is just hard to build your franchise around guys like Drummond and Griffin, just like it’s hard to build a comic-book franchise without being connected to the main Avengers storyline. Detroit’s last championship team started in 2003, the same year the franchise peaked with X2: X-men United. But despite many attempts the recapture that magic, they have never been able to do it, though it would have been cool to see Bilups, Hamilton, Prince and the Wallaces team up with this new generation to fight the Sentinels. When is Adam Silver going to allow time-travel in basketball? Joel Embiid. Buzz Lightyear. Ben Simmons. Woody. Jimmy Butler. Sporky. Toy Story 3 won the domestic box office crown in 2010 with an impressive 410 million, which (along with Alice In Wonderland) launched the process of Disney making sequels and remakes to every one of their beloved properties. The Sixers process was much different, they were trying to gain new assets by being purposely bad, but it has led them to the same place. That being where they have all the talent on paper to win the title, but the audience is giving them a collective shrug. No one is gonna be surprised if Toy Story mimics The Incredibles and just does absolutely huge numbers this summer, just as no one would be surprised if the Sixers absolutely loaded starting lineup beats up the East. There’s just something off though, and I don’t expect either to reach their potential. Sporky has been received poorly and Jimmy Butler is toxic to team chemistry. However, the other new additions could end up making up for this in the form of Tobias Harris + Key & Peele. We should have a better indication after this first round, both with the Sixers performance against the Nets and a second Toy Story trailer attached to Avengers. This is a story about a team making mistakes that set them back for years. About being hustled by men who think they are smarter than you. Anne Hathaway and Rebel Wilson lost years of their life, money and trust in the opposite gender. The Brooklyn Nets lost their last three first-round picks in a bad trade with the Boston Celtics. However, both have gotten revenge, not against their original agitators but ones who are similar enough. The league’s other premiere team the Los Angeles Lakers fell victim to the Nets, giving up all-star DeAngelo Russell in an effort to clear cap space to get a buddy for LeBron (which did not happen.) Meanwhile any dirty old man is prey for the ladies, surely they’ve done something wrong (or else risk our criminally-inclined ladies not being seen as “heroes”.) This isn’t the year for the Nets or the revenge of women, but it was a step forward instead of another one backwards. In my opinion, these are the only other contenders with a shot at upsetting the stars at the top. They have a reliable coach who has handled situations like this before. They have both have mega stars in Kyrie and Beyonce, who know how to close strong. They have an embarrassment of riches with the bench and nostalgia the marketing team can exploit. Yet things haven’t quite come together yet for either one. Boston struggled to make all their big personalities happy in the regular season leading to a disappointing 4th place finish. The last time an underseed (lower than top 3) won the finals was in 1995, when Hakeem led the Rockets over Shaq’s Orlando Magic. And while the animals look great in The Lion King trailers, they suspiciously did not show any of them talking. Was this project too ambitious for 2018-2019 technology? Do the Celtics have too many guys? I’m gonna say no to both, they will pull it together for an impressive performance, but it will not be enough to be crowned champions.